Yes, I agree to receive occasional emails about special offers, new products and exclusive promotions. Thank you for your interest in The Royal Platinum Wedding Anniversary Coin. Before we confirm your order we would like to let you know about our one-time only ‘Premium Pack Upgrade’ offer. ...by having it uniquely numbered for just £14.95. 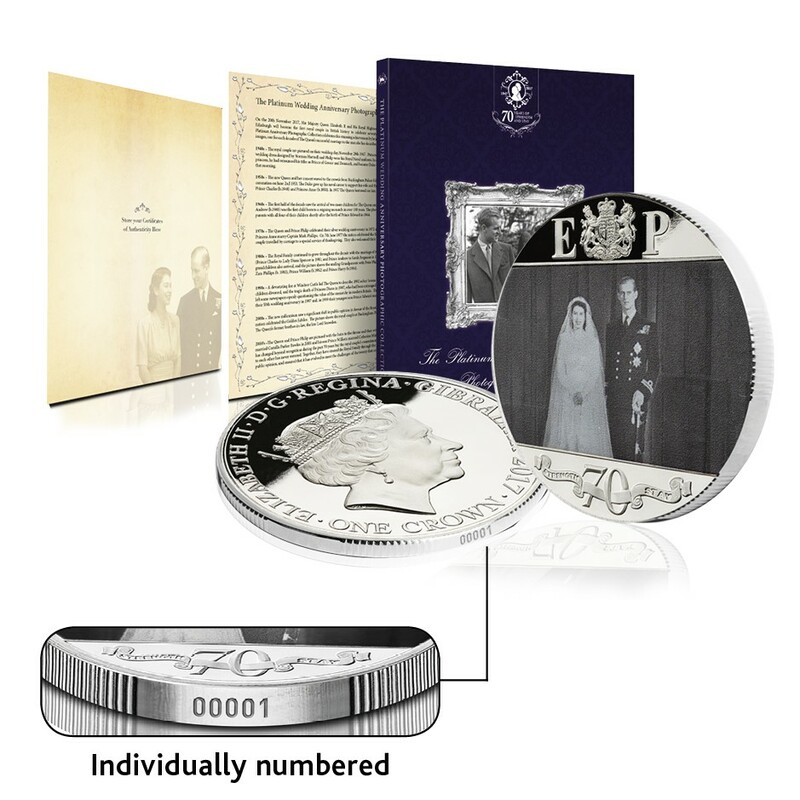 Your individual number will be laser etched on the edge, making your coin an absolutely unique commemoration of the first time that a British monarch has celebrated 70 years of marriage. There is a strict limitation of one per household.